By the close of the 19th century a new kind of painting was sweeping through Europe. This work was bolder, displaying a greater breadth of handling and pictorial freedom. Matisse, Cézanne, Van Gogh and Gaugin were producing abstracted forms through the use of arbitrary colour, decorative elements of line and composition and a refusal to submit their compositions to the realities of nature. How did this movement arrive in Canada and what happened to it once it did? Through a highly enjoyable mix of historical documentation, critical reviews and personal correspondence, Murray tracks the tumultuous emergence of this "New Art" , the Canadian artists who championed it and the critics who fought it at every turn. John Lyman, David Milne, Lawren Harris, Tom Thomson and Emily Carr leapt at the chance to escape outworn convention but the art they produced was slightly out-of-place in the evolution of world Post-Impressionism. Theirs was an interpretation marked by lyrical intensity and by an attachment to Canada's savage physical environment. Through a potent and unique combination of foreign influence and local naturalism, they invented not only a new art form but a vision of Canada that remains with us today. With 19 artists' biographies, personal correspondence from John Lyman, Emily Carr and Anne Savage, an extensive bibliography and 40 colour plates. 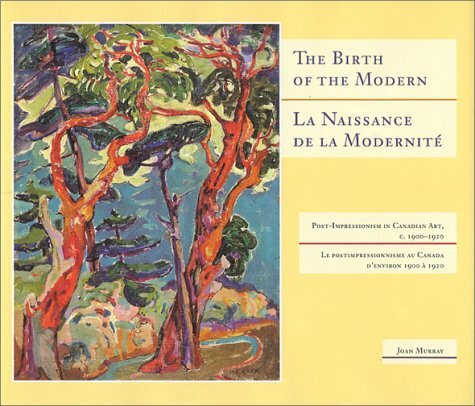 Joan Murray has authored many publications on Canadian art, especially on Tom Thomson and The Group of Seven.